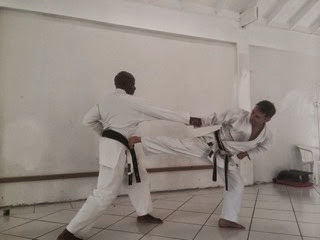 Over the Christmas period, Sensei Michael arranged a visit to St Lucia Bushido Shotokan Karate-Do. This was established 28 years ago and Michael was invited to two special training sessions with some of the club members during the club’s Christmas recess. The visit was organised by co-founder Sensei Oliver Lawrence 5th Dan, with a plan for us to have an exchange of ideas and compare our approaches to training. 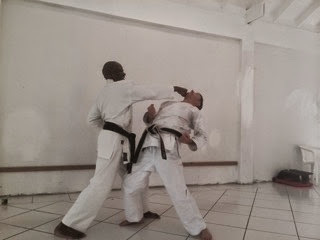 Sensei Ezra Jn. 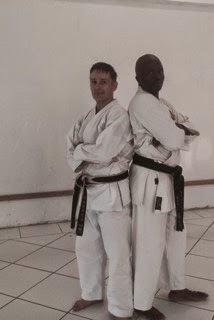 Baptiste 5th Dan allowed us the use of his dojo, which is north of Castries, the capital of St Lucia. Both Sensei Oliver and Sensei Ezra were graded 5th Dan by Shihan Hirokazu Kanazawa 4 years ago. 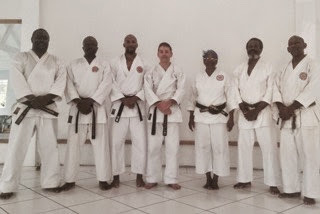 Senior attendees included Sensei Victor Dudley 4th Dan, Juliana Christophe, George Redjou and Karim Sifflet. 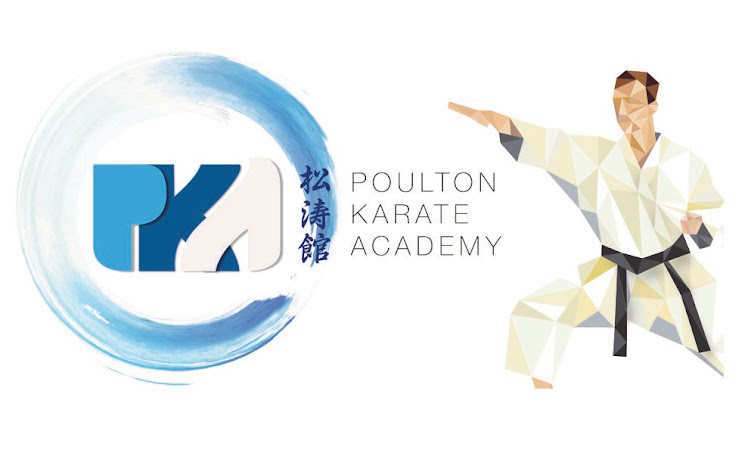 The training focussed on traditional kihon, an introduction to Asai-Ryu Shotokan and the Heian katas. Our approach to basic training and the Heian’s was virtually identical, with only minor differences. You can see from the photo’s that we had a bit of fun at the end of the session! Thank you to Sensei Oliver fro making this possible and for providing our transport to and from the dojo.